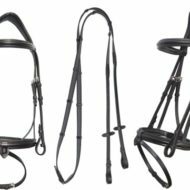 The Great Gatsby dressage bridle is available in Black leather, Brown leather, or Black leather with Brown padding! 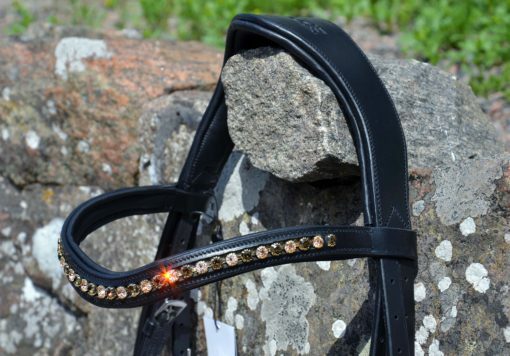 These have gold buckles! 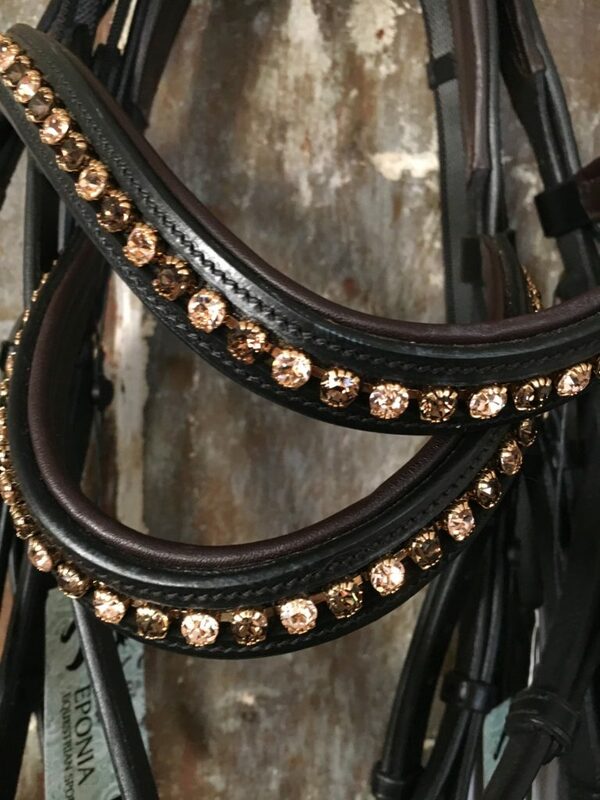 A stunning Anatomically padded dressage bridle with a combination of Bourbon Whiskey and Very Pale Pink Champagne Swarovski crystals with gold setting. 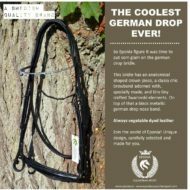 High quality English vegetable dyed leather. 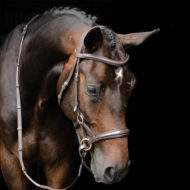 Comes with a Black, Bronze, or Black w/Brown padding PATENT leather noseband option upgrade for $40. This combo gives a glamourous art deco era of grand style! Imagine the black patent shoes, the gold, the champagne, the dresses, the jewelry of that era!!! 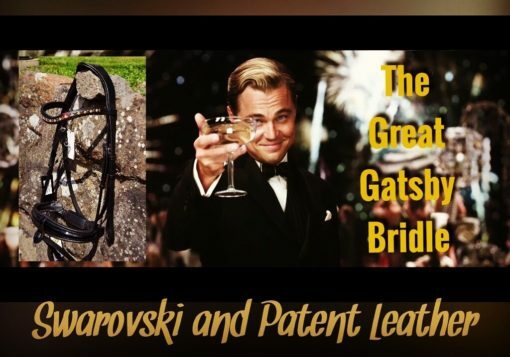 The elegant, extravagant parties! 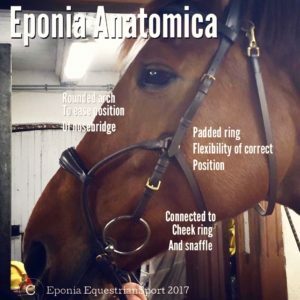 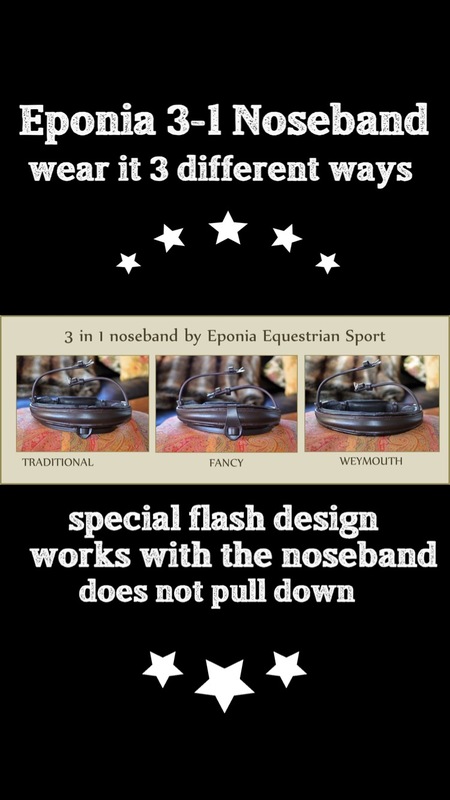 Eponia nosebands are 3-1 style which means they can be worn 1 of 3 ways: over, under, or completely removed. These are extra padded nosebands. 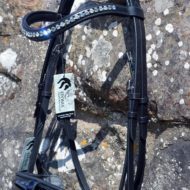 Web sticky Reins are included. 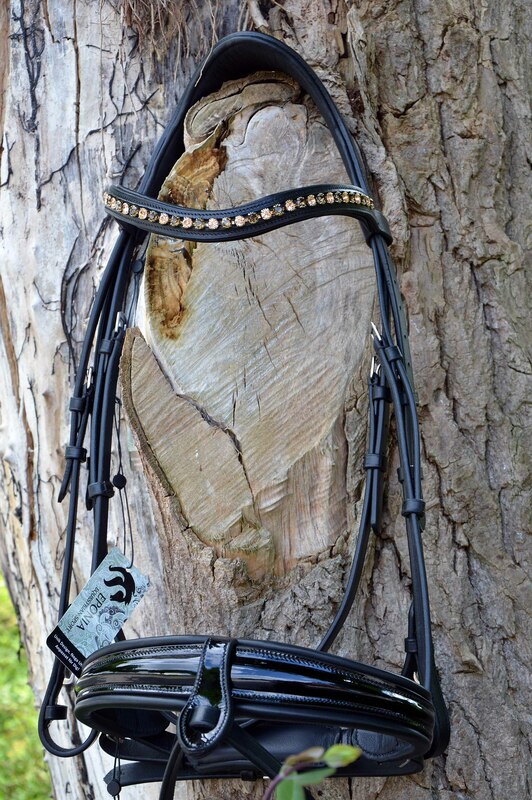 All of our leather is environmentally safe for you and your horse in Vegetable dyed leather. 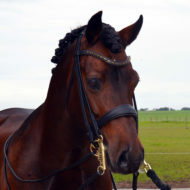 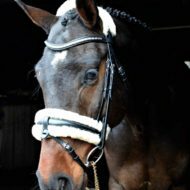 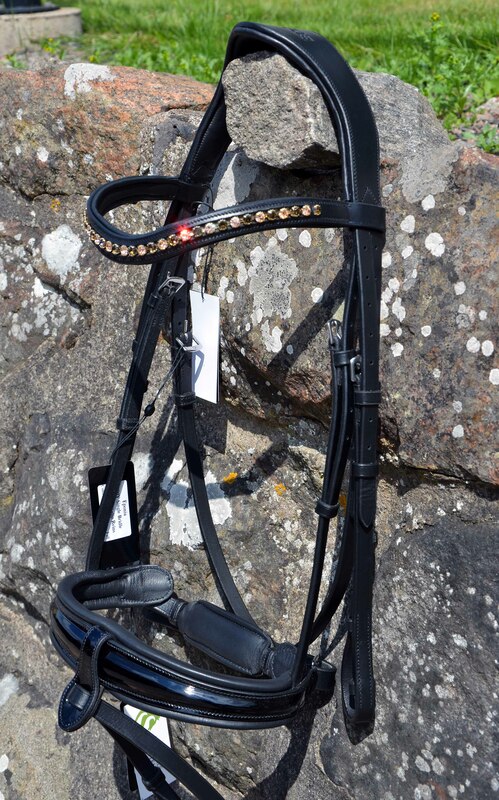 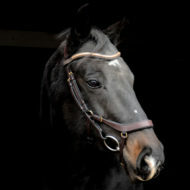 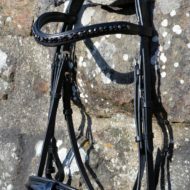 Received this bridle yesterday in the black with brown padding and the black patent on the cavesson. 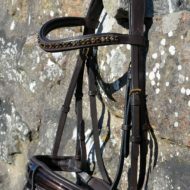 The quality and features are incredible.Fit is true to size. 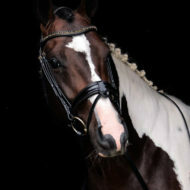 Cob fit my Half Arab, Half Hackney Horse beautifully!